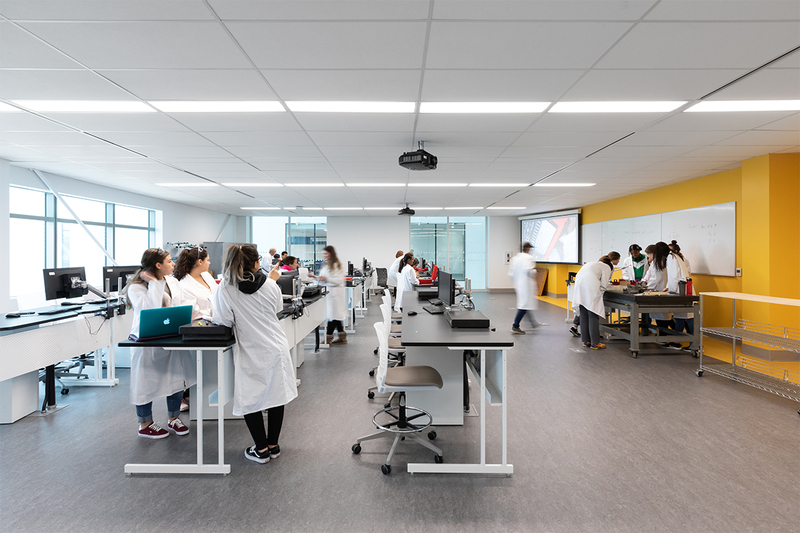 The Joyce Centre for Partnership & Innovation at Mohawk College is the first institutional building in Canada to be awarded Zero Carbon Building – Design certification from the Canada Green Building Council. The building was one of 16 projects participating as a pilot project for the Canadian Green Building Council (CaGBC) Zero Carbon Buildings Initiative and World Green Building Council (WGBC) Advancing Net Zero Initiative. Funded studies, from design through construction to post-occupancy evaluation, will illuminate the implications of net zero construction in new, large-scale, high-volume developments and will inform future processes in the collective move toward net-zero construction for all new buildings by 2030. New construction projects earn Zero Carbon Building – Design certification by modeling a zero carbon balance, highly efficient envelope and ventilation systems to meet a defined threshold for thermal energy demand intensity, and onsite renewable energy systems capable of providing a minimum of 5% of building energy consumption. Project teams are required to evaluate energy use holistically, including impacts on peak electricity, and determine the GHG emissions associated with structural and envelope materials. Both new and existing buildings can obtain the standard. 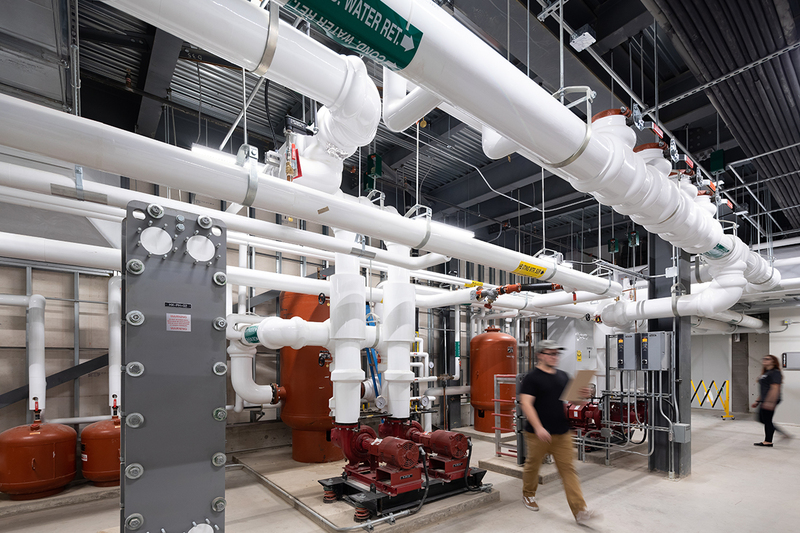 The Joyce Centre for Partnership & Innovation is Mohawk College’s next milestone in its vision for a more energy efficient future. 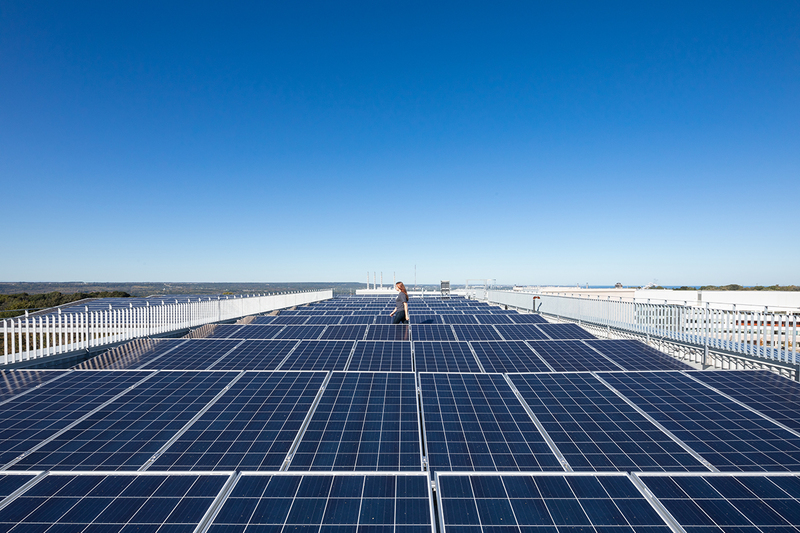 Mohawk College is a committed leader in sustainability and conducting business in ways that positively impact students, the environment, and the broader community. 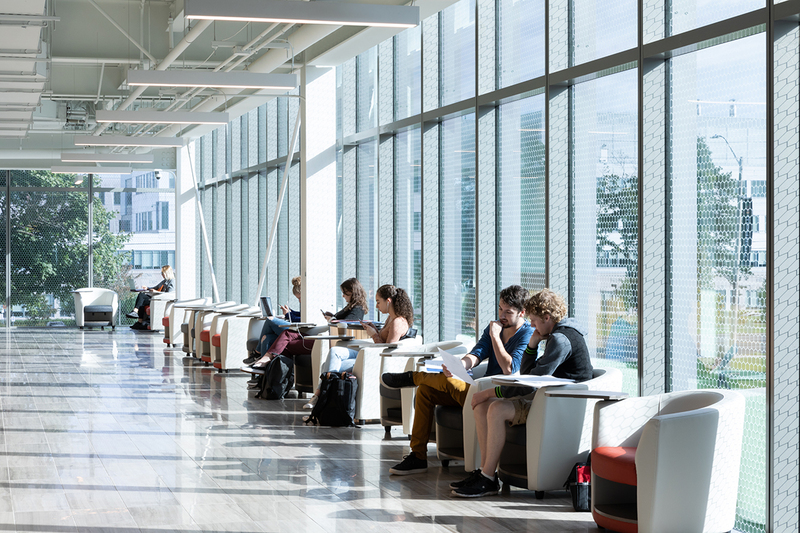 The Joyce Centre for Partnership & Innovation represents a cultural shift in thinking for Mohawk College, its staff, and students—from free access energy to individual accountability for resources consumed. 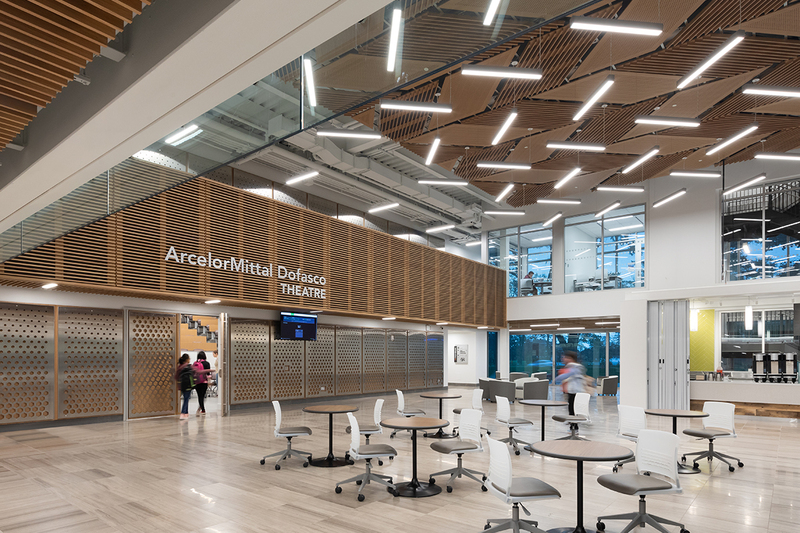 The design prioritizes the end-users, Mohawk’s students, and staff, creating a social learning environment that will become a driver of innovation. There are three main public amenity spaces: the Students Community Court; the West Entry Plaza; and the Sunken Garden. The design incorporates high-capacity teaching spaces grouped together around a social hub atrium, converging to allow the flow of students to interact around a café, informal lounge spaces and more private study areas. The laboratories will be flexible and modular, allowing them to develop over time – in tune with advancing technology. Additionally, the laboratories will engage industry leading companies for innovative partnerships to harness collaboration between students and industry.